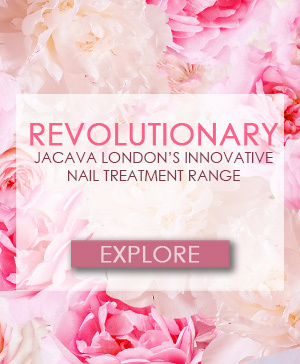 Experience glossy shine and long-lasting wear with JACAVA London's 9-Free formula of nail polish. Browse by nail colour and select from over 150 luxury nail varnishes. Treat yourself with a selection of nail colours for every occasion. Creamy white duo-chrome micro-sparkle, with subtle undertones of pink, gold and blue. Light, airy, long-lasting and non-toxic pastel nail polishes. Indulge your nails now! A revolutionary approach to nail care. Inspired by nature, our nail treatments are revolutionising the way we care for our nails. Get the latest in the JACAVA Magazine. From tips and tricks to new product announcements or experiences. Enter the world of JACAVA London. We worry that we have the perfect garment, that fits well and flatters our body shape and compliments our skin colour. We find cosmetics that hide our imperfections and highlight the features we like the most. What about our hands, though, and most particularly, what about the shape of our nails?